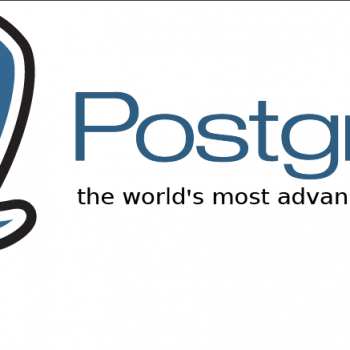 PostgreSQL is a great advanced open source database. It offers many features, one of them being database replication. 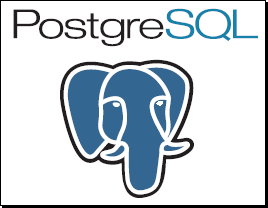 PostgreSQL 9.4 offers many different solutions to the replication problems, each one of them having it’s number of up’s and down’s. In the end it is up to the system or database administrator to decide which solution is best for specific scenario. In the following post i decided to present how to configure PostgreSQL synchronous streaming database replication. Follow the steps closely and by the end of this tutorial you will have a working master/standby synchronous PostgreSQL replication. The benefit of a synchronous PostgreSQL replication over an asynchronous is that in case of master PostgreSQL database server failure you are sure you did not lose any data. The database client connected to the master PostgreSQL database gets a success message only once the data is written to both, master and standby PostgreSQL database server therefore there is no chance of loosing valuable data in the process. Please note that the master/standby configuration actually means that the master server is in read/write mode while the standby server is in read-only mode. The read-only mode can however still be useful for reporting or similar activity. To start configuring PostgreSQL Synchronous Streaming Database Replication i assume you have successfully installed and initialized PostgreSQL 9.4 on both linux servers you would like to use. You can follow my posts on “Install PostgreSQL 9.3 on CentOS 6” or “Install PostgreSQL 9.4 on CentOS 7” if you need any help. For the PostgreSQL Synchronous Streaming Database Replication to work, the standby instance connects to the master instance using a database user with replication privileges. Therefore we need to create a role and allow it to be used for replication purposes. Do this on the master instance. By default PostgreSQL only listens on “localhost” therefore denying outside connections to the database server. Firstly we must make the PostgreSQL database server to listen on desired IP address, which can be reconfigured in “/var/lib/pgsql/9.4/data/postgresql.conf” configuration file. Do this on the master instance. Be sure to restart PostgreSQL service for changes to take effect. You also need to allow connections from the PostgreSQL standby instance using the newly created replication role. You can configure this in “/var/lib/pgsql/9.4/data/pg_hba.conf” configuration file. Do this on the master instance. Note that by applying the “trust” for “replication” user from slave IP address “192.168.10.101” this will allow connection to master PostgreSQL instance without password authentication. You need to edit “/var/lib/pgsql/9.4/data/postgresql.conf” configuration file and change some parameters accordingly to configure the PostgreSQL streaming replication. Do this on the master instance. Once “postgresql.conf” file was reconfigured for “hot_standby” we need to start it to write out WAL logs with this configuration enabled. Once the master PostgreSQL has successfully started you can turn it off again. While both PostgreSQL instances are down, use rsync or some other tool to copy all of the contents in folder “/var/lib/pgsql/” from master PostgreSQL instance to slave PostgreSQL instance. The “recovery.conf” file provides information required for successful slave PostgreSQL connection to master instance. Note that IP address of the master instance must be changed accordingly along with the port number. Also the “application_name” is the “synchronous_standby_names” parameter configured on master PostgreSQL instance. As you can see the PostgreSQL Synchronous Streaming Database Replication status is OK, the state is “streaming” and the sync_state is “sync” which means the configured replication is synchronous. More posts on advanced usage of PostgreSQL similar to PostgreSQL Synchronous Streaming Database Replication comming up soon, stay tuned. Very good tutorial. Running without dislaying errors, but why recovery proccess is not running? Hi Marios, are the PostgreSQL instances seeing each other on port 5432? Is the firewall opened? You can easily test this with telnet client or similar. when i doing this in master server i.e., listen_addresses = ‘192.168.10.200’ then database server is not get start. Is the IP address 192.168.10.200 configured and active on your server? The slave is now read only. How do I change it to read and write?